This is a re-engineering of the wonderful ​BlinkyPOV We created our own because we prefer AVR microcontrollers to the PIC they used, but otherwise it is a brilliant design. 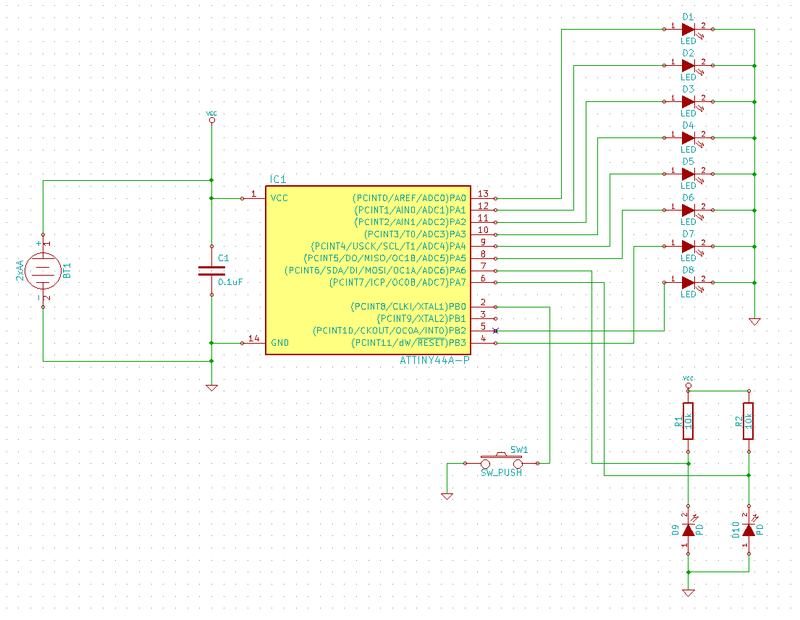 There is no UART. Have to bit-bang one if needed.